For more than a decade, the Shadowhunters and Downworlders have been a very big part of Cassandra Clare’s and our lives and now her beloved characters from The Shadowhunter Chronicles are getting some “mundie” company (in addition to the characters from Cassie and Holly Black’s Magisterium series, of course). Cassie just announced that she and Random House are going to publish an adult high fantasy series called Sword Catcher. These characters — criminals, princes, magicians, and warriors — have been in my head for a while, and I am eager to let them out. I can’t tell you the publication date yet, since the book is a work in progress. But I can’t wait to share more information with you when I have it. You once mentioned that you’re writing a high fantasy series or novel or trilogy, can you tell us anything about it? Maybe a title, when is it going to be released, which year? Anything that you can share? Yeah, so don’t worry that it is going to interfere with The Last Hours or the Magnus books, it’s not going to. It comes out after all of them! That was a deal I made with my publisher because I wanted to sell the project, but I didn’t want to interfere with the books that I already had under contract. It may come before The Wicked Powers, but not before anything else. It’s something that I’ve been working on for a really long time, building this story that takes place in another world. It basically centers on a boy named Kellian, who is kidnapped from his family when he is about five years old. He’s brought to the castle in his city, where the king and queen of his country live. And they have a son and Kel looks a lot like him. They are like, ‘You are going to be the Sword Catcher’, which is a traditional thing, meaning you stand in for the prince at public events so if someone tries to kill him, the prince is safe and the Sword Catcher dies instead. Is it for teenagers or young adults? It’s adult. I think it’s totally fair for young adults to read it. There’s nothing in it you can’t read and I think it’s adult mainly because it covers Kellian’s life up until he is twenty-three, twenty-four and that’s when the story really starts. I think he’s pretty crush-worthy. 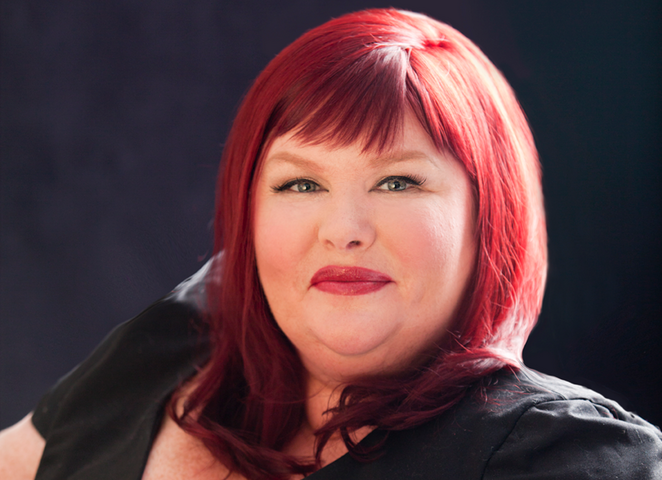 Pan Macmillan has acquired two books from fantasy author Cassandra Clare in a seven-figure deal. The books will be the first adult titles from Clare, who up until now has written young adult (YA) fiction. Publisher Jeremy Trevathan and editorial director Bella Pagan bought UK and Commonwealth rights excluding Canada in a deal brokered with Danny Baror of Baror International. Part of a new Sword Catcher series of books, which Clare said had been “a long time coming”, both will be works of adult fantasy fiction and promise “a dramatic epic of power, intrigue and magic”. “Here, a boy is born to rule a divided city. A girl is destined to return lost magic to the world. And a prince will betray his people to win a crown. They’ll discover the dark side of themselves and those they love, as their kingdom faces war, plague and the end of hope. But the blackest night comes before the dawn,” reads the publisher’s marketing material for the new series. Trevathan said Clare was a perfect fit for Pan Macmillan’s fantasy list that had been looking for “the ideal major brand author”. “The story is everything you’d expect from an author who breathes excitement and magic into everything she writes,” he enthused. Clare, who is now based in the US, worked for several years as an entertainment journalist for the Hollywood Reporter, before turning her attention to fiction. Her bestselling YA novels include the Mortal Instruments series, the Infernal Devices trilogy and the Dark Artifices series which she is currently writing for Simon & Schuster UK. She has also co-written books with other authors, including Sarah Rees Brennan and Holly Black. Pan Macmillan plans to publish the first in the new series, Sword Catcher, in spring 2021, following the author’s current commitments. What do you think of this announcement? Are you going to read Sword Catcher? Sound off in the comments below! Please give TMI Source credit and link back to this article if you use Cassie’s quotes from our interview – thank you. I will read every Cassandra Clare book I can find! is that same person kellian from hunter by the lord of shadows? No, Sword Catcher is not about Shadowhunters! It is a completely different series. The Dark Artifices has Kieran and Sword Catcher has Kellian. I can’t wait to read this! Sounds really intriguing. You know that if Cassie is writing it, it’s going to be EPIC!! Hope it doesn’t delay The Wicked Powers though cause I’m really looking forward to reading that, but if TWP is the last Shadowhunters series, not sure I’ll be ready… But I’m getting off point! This sounds so good! I’m so exited!!!!!!!! This is going to be an epic series! !